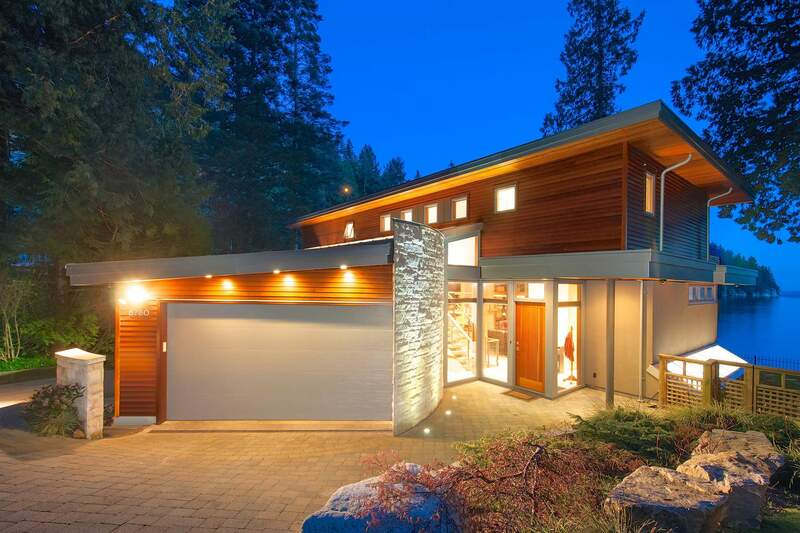 This 4 bedroom, 5 bathroom modern contemporary home is located in prestigious Horseshoe Bay, West Vancouver. With views of Batchelor Bay and an outdoor kitchen you will enjoy spending every minute of summer outside. Another really cool feature here are the moveable walls of glass which allow you to really get creative with your layout and decorating. All bedrooms are on the upper level of this home each with access to the sunny terrace. The views of the coastal landscape never get old and the bay is protected from rough weather. Located in a safe gated community you can walk into Horseshoe Bay village in just minutes. This home is listed by Jason Soprovich, it is on the market for $4,889,000 CDN. The full listing can be viewed here.